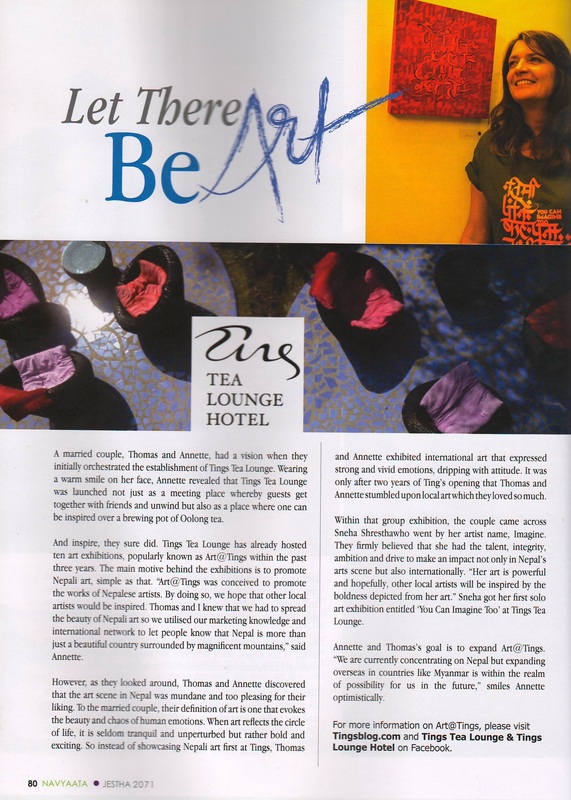 Art@Tings started out as a marketing tool mainly to promote Tings Tea Lounge in Kathmandu. Today Art@Tings is not only one of the most important creative hubs for young contemporary Nepalese art. To helps commercial companies implementing art and culture in their marketing campaigns. To support dedicated and talented artists developing their ideas in order to reach their creative potential.